Devin Townsend is an award-winning Canadian rock guitarist and singer, originally recording under the name Strapping Young Lad, with occasional guests. He released his debut album, "Punky Brüster - Cooked on Phonics" in 1996, followed by: "Ocean Machine: Biomech" (1997), "Infinity" (1998), "Physicist" (2000), "Terria" (2001), "Devlab" (2004), "The Hummer" (2006), "Ziltoid the Omniscient" (2007), "Z²: Dark Matters" (2014 - Juno award winner), plus 2019's: "Empath". 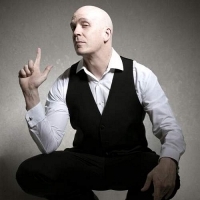 Releases as part of Devin Townsend Project include: "Ki", "Addicted" (both released in 2009), "Deconstruction", plus: "Ghost" (both released in 20011).